There are two official beaches maintained by the municipal environmental services. 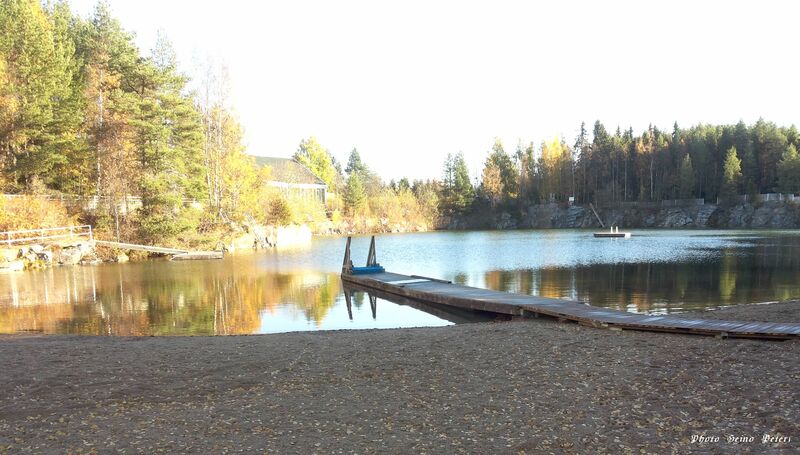 Ouluntullin kalliomonttu, the old quarry lake at Ouluntulli, which was filled with ground water after the rock excavation work was completed, has been renovated into a recreation beach. The sheltered location of the beach is easily accessible via the Ouluntulli service station or via Kokkokankaantie. The water in the lake is ground water seeping through the rock bottom of the quarry, which will keep the water refreshing even on the hottest of summer days. The beach has been furnished with changing rooms and diving boards with three different heights. A shallow water section of the beach has been separately marked for small children. Outside the marked shallow water section, the lake is very deep in places, which allows for diving. The Ouluntulli beach has been listed as an EU-beach with a high classification status. Winter swimming facilities are offered at Ouluntulli beach during the winter months. The facilities include heated changing rooms for swimmers and a hole in the ice that is kept open all winter by means of a circulation pump. The key to the locked changing rooms can be acquired at the municipality hall information point by paying a 30 EUR deposit. Municipality hall address: Asemantie 1 No other charges are required for winter swimming. The quality and status of the water at the beaches is regularly controlled by Oulun seudun ympäristövirasto (Oulu region environmental agency).